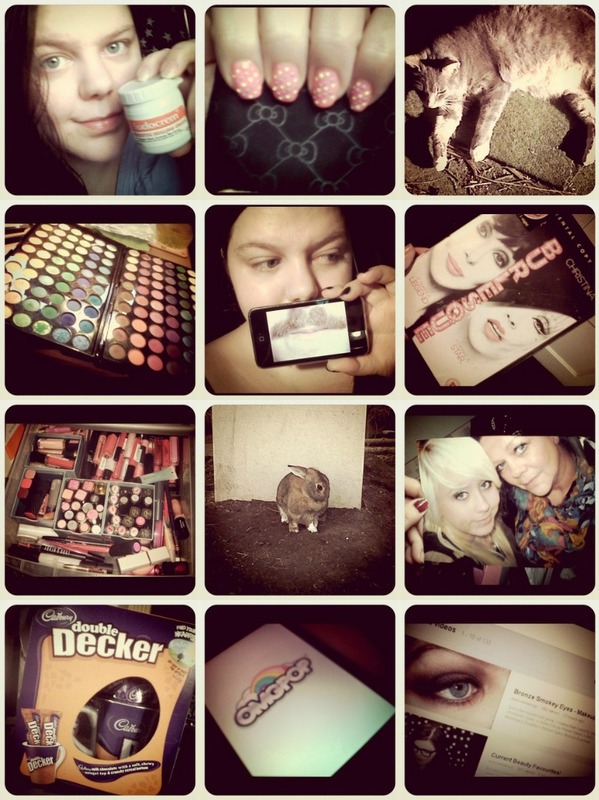 Sophsterlicious • UK Blog: Instagramming ♥ #001. 1: Sudocrem Face Mask // 2: Easter Nails // 3: Kittencat. 4: 120 Palette Love // 5: Keith Lemon App (Hilarity!) // 6: Burlesque. Great Movie. I heart Xtina! 7: Lipstick Heaven // 8: The Easter BunBun // 9: LOVE (Mum+Sis). 10: EasterChoc! // 11: Drawsomething. I'm obsessed! // 12: Getting back to YouTubing. PS: I apologise for facial nakedness in picture 1 and 5. PPS: You can follow me here.